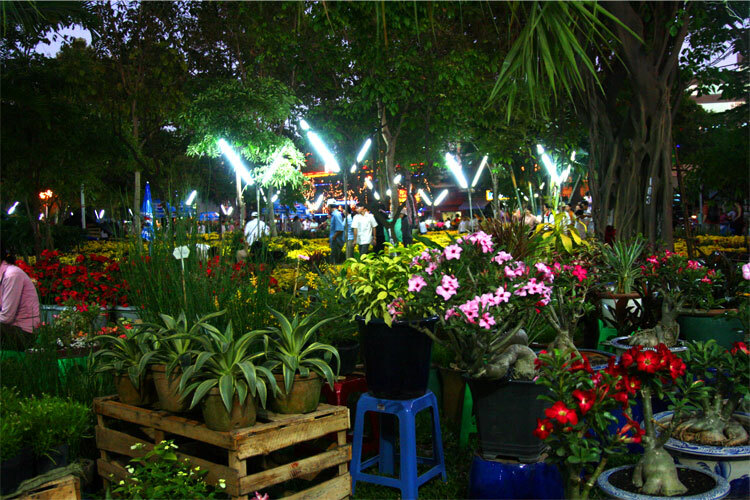 The bustling night flower market in downtown Saigon. Flourescent lights hanging from posts and flowers for as far as you can see. Especially vibrant as Tet is right around the corner.